The Strand Arts Centre has said it will not be cancelling a show featuring a controversial Polish travel writer and comedian. The Rainbow Project, a support and advocacy organisation for lesbian, gay, bisexual and/or transgender people here, has condemned the scheduled appearance of Wojciech Cejrowski at the east Belfast venue this Saturday. Urging political and community representatives to speak out against the planned show, John O’Doherty, director of The Rainbow Project, said: “We spoke out originally in July when this event was announced, as this performer has a well-known history of making discriminatory and inflammatory comments through his content on YouTube and during his various television appearances. This content is homophobic in nature with direct intent to incite exclusion and discrimination against members of the LGBT+ community. Despite concerns about the possible content of the show, a spokesman for the Strand Arts Centre said assurances have been given that Mr Cejrowski will talk about his travels and will not discuss his personal opinions. “Upon receiving an expression of concern in relation to this booking and upon being advised on the nature of some of Mr Cejrowski’s views, Strand Arts Centre decided to cancel the event,” the spokesman explained. He added: “Strand Arts Centre is a small charity which strives to provide a shared space for all especially within the east Belfast community. We are conscious of the need to treat everyone who uses our space and services with integrity and respect. 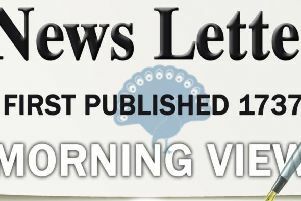 The News Letter has contacted Mr Cejrowski via his website asking for comment.